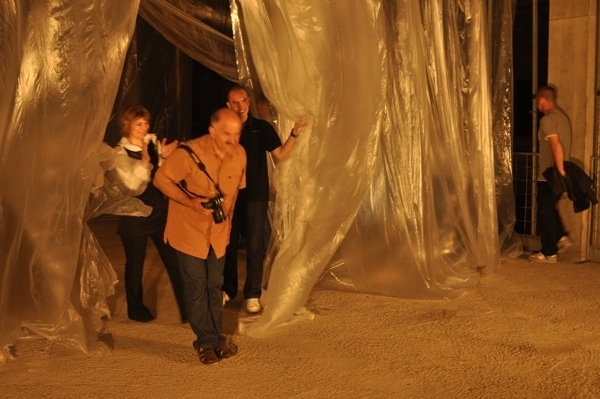 This art work is a multimedia installation and a site-specific performance realised at the construction site of the National Theatre in Subotica, as part of the “Construction-Site-Theatre” event that took place during Museum Night in 2011. 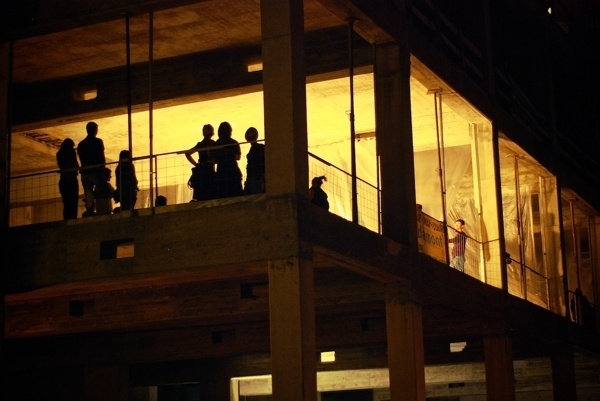 The audience was invited to explore the site of the unfinished theatre building. 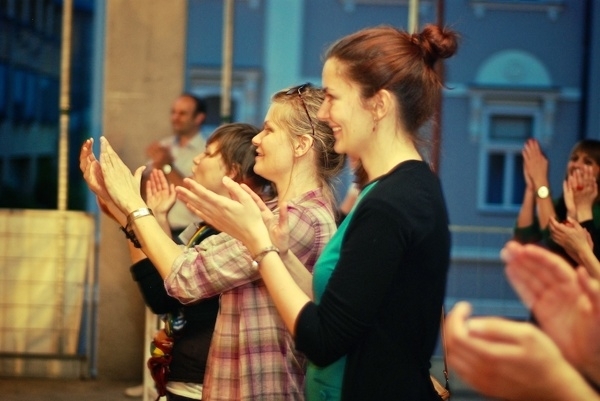 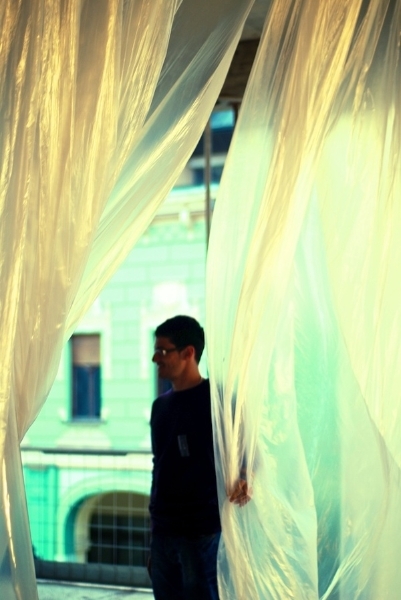 Provoked by installation of five layers of improvised theatre curtain, in one part of the building, this audience found itself turned into performer in front of the newly formed welcoming audience behind all curtains. 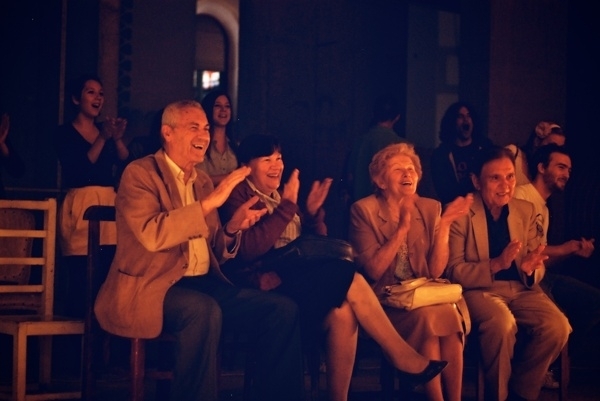 The performance lasted for six hours without breaks.